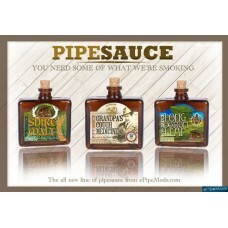 Unsure of which pipe sauce to purchase? Now you can try them all in our convenient Pipe Sauce Sampler! Pack includes a 3ml bottle of all 6 available flavors in 18mg strength. Also makes a great gift for your favorite 'Vaper'!